Grab your picnic basket! 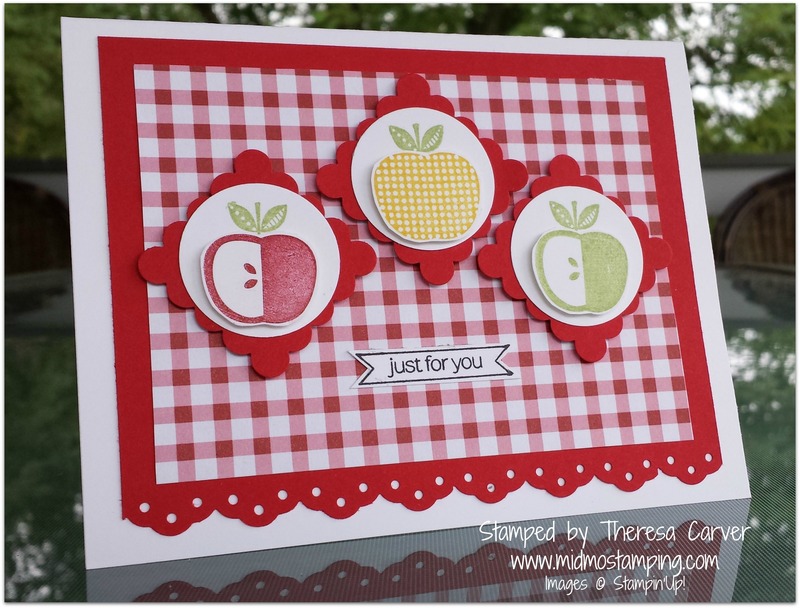 Today’s card is a Stamp Club Swap from Theresa Carver. 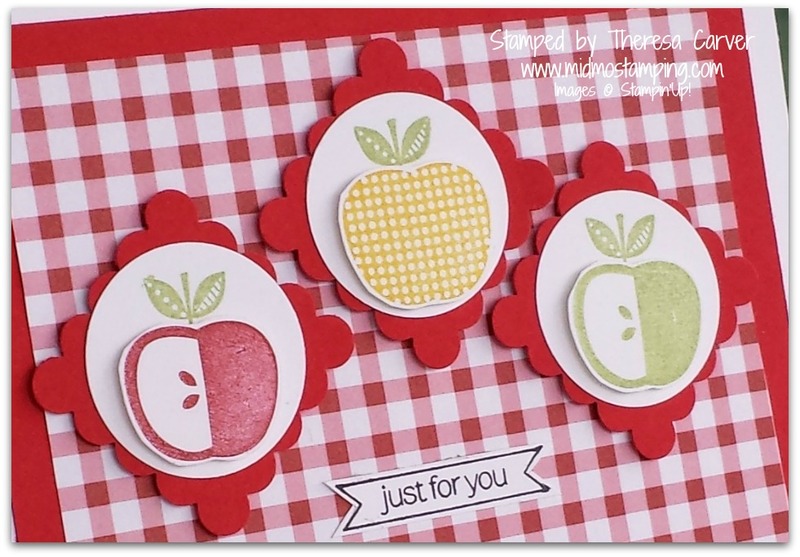 Great use of punches, stamps, and colors that compliment each other wonderfully! Thanks so much for Sharing, Theresa!!!! Love the gingham and everything else!